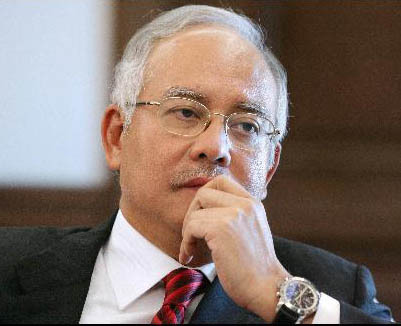 KUALA LUMPUR: Malaysia’s Prime Minister Najib Razak said he still respected Mahathir Mohamad although the former prime minister was hurling criticisms against him lately. Bernama news agency quoted Mr Najib as saying that he evaluated and considered the appropriateness of each criticism by Dr Mahathir, but hoped criticisms be made in a prudent and responsible manner. Mr Najib said this in an interview on a Special Edition of TV3’s Soal Jawab (Question and Answer) programme aired on Thursday evening (Apr 9). Asked by the host Hamdan Ahmir whether Dr Mahathir’s continuous criticisms were affecting his administration, Mr Najib said he kept an open mind and considered any criticism with a view to make improvements. “Nothing will happen to me because of the remarks by Tun Dr Mahathir. But I wish to state, the fact is I am responsible to the people and party. Whether our relationship is the same as before or not, time will tell. But to me, I leave my fate to the people and party,” he said. However, Mr Najib said this did not mean he did not respect anyone. In fact, said Mr Najib, he showed respect by discussing with Dr Mahathir on various matters even though he was a prime minister. “But no matter how we discuss, in the end I have to make decisions as a prime minister,” he added. Solidarity Anak Malaysia (SAMM) in Pahang, Penang dan Selangor today lodged separate police reports against forner prime minister Tun Dr Mahathir Mohamad for allegedly making seditious statements against Prime Minister, Datuk Seri Najib Tun Razak. Meanwhile, SAMM Pahang coordinator Amirul Syazwan Narzaruddin and SAMM Selangor coordinator, Megat Khairul Anuar said that the reports were related to statements made Dr Mahathir on his blog (www.chedet.cc) pertaining to several issues including the murder of Mongolian model, Altantuya Shaariibuu. Other issues Dr Mahathir had highlighted on his blog included the debt-stricken 1Malaysia Development Berhad (1MDB) and the purchase of a private jet. 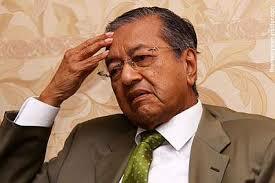 “Dr Mahathir’s statements are obviously seditious in nature, encouraging people to hate the Prime Minister of Malaysia. “Many opposition leaders have been investigated, arrested or even charged with sedition for raising the same issues. “The question now is, why Dr Mahathir is untouchable and free to issue statements inciting hate towards the Prime Minister?” said the duo in their respective police reports lodged at the police headquarters in Beserah, Pahang and Kuala Kubu Bharu in Selangor, respectively. They said the police reports lodged against Dr Mahathir were aimed to provide the police a period of 10 days for action to be taken against the statement made by him. “He (Dr Mahathir) should, at least be summoned to the police station for his statements to be recorded,” they added. The duo also said that if no action is taken against the statement made by Dr Mahathir within the given period, then his action may be deemed acceptable. As such, the police should also not take action against the others who had come up with similar statements.